Your friends, family, and die-hard fans are all singing the praises of your self-published book. Wonderful! So now you’ve made it available for sale to the general public—and you get a bad review. Yes, you feel crushed, but take heart; you’re not alone. Even some of the most famous novels have received bad reviews. Remember: You can’t please everyone…and you shouldn’t try to. 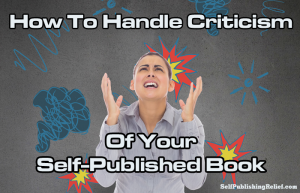 With these helpful tips, you’ll be able to handle criticism and negative reviews of your self-published work with finesse! 1. Stay calm! 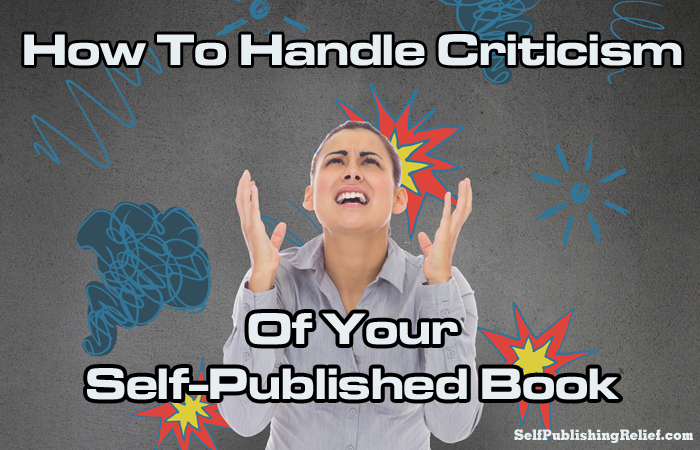 Don’t make the mistake of reacting too quickly to a bad review or a negative comment about your self-published book. Instead, take a deep breath and step away from the computer—don’t type up a hasty, emotional reply. You don’t want potential readers to be turned off by a public argument in the middle of your book’s reviews—having a nice attitude online will be much more effective in the long run! 2. Don’t get defensive. Your first instinct might be to jump in and defend your book, but remember that every published book has had negative reviews. Allowing your readers to form their own opinions, negative or positive, shows that you have faith in your writing. If you handle bad reviews with grace, potential readers will respond favorably to your show of confidence in your writing. 3. View criticism in a positive light. While it’s never easy to read negative comments about your writing, remember that honest criticism is essential to your growth as a writer. Try to find the constructive advice in the negative comments, and keep it in mind when writing your next book. Not every review will be a learning experience, but embrace the ones that are! And if the criticism gets to be too disheartening, learn to use affirmations to boost your writer self-esteem. 4. Let go of perfectionism. Your first book—or even your fortieth book—may never be perfect. If you let go of the pressure to be perfect and accept that your book is the best it can be, then it will be easier for you to let the negative comments roll off your back! 5. Don’t be afraid to publish again. Some people will leave nasty comments about your book just to be mean. Don’t let Internet trolls discourage you from continuing to promote your novel—or from self-publishing again. The best response to negative comments is to forge ahead with your personal goals as an author. Don’t let the fear of bad reviews hold you back! 6. Find a support group. Your friends, family, and colleagues will be there for you—attending readings, giving helpful advice, even offering a shoulder to cry on. Here at Self-Publishing Relief, we know how hard it is to navigate the self-publishing world by yourself. Our publishing experts can guide you through each step of the self-publishing process. Don’t go it alone—we can help! QUESTION: How do you respond to negative comments about your writing?